A good running watch is the best tool to improve your performance whether you’re a novice runner or a pro. Running wearables have become a must-have, and major players in the industry have created watches for runners of all levels. There is such a wide variety of running watches to choose from on the market that it can be confusing. But, do not worry. Below is a list of the top 10 running watches on the market. The Garmin Forerunner 935 could very well be one of the best running watches there is on the market. This running watch is not only lightweight, but it is also easy to use and read. It comes with an elevated heart sensor and has around-the-clock fitness tracking capabilities. It also comes enabled with GPS and can track all forms of running. Its GPS is not only accurate, but it also locks onto your position fast. And, that means you do not have to wait a long time before starting your run. It has an impressive battery life that can support the GPS function for a full 24 hours. For general activity tracking, the battery can support you for up to two weeks. The Garmin Forerunner is also a good choice for triathletes since it supports easy discipline transition with a single button. The smartphone pairing means that you can get your phone notifications on the watch as well. 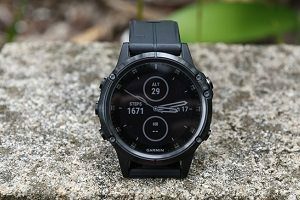 When we speak about the best watches on the market, the Garmin Fenix 5 Plus must be on the list. With a hefty $750 price, this watch is best suited for serious athletes who are fond of running on different kinds of tracks. 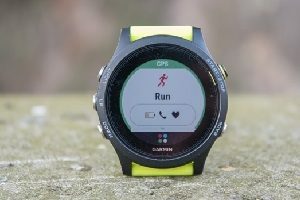 The Fenix 5 Plus comes with several location tracking capabilities, including GPS, GLONASS, and Galileo Network. 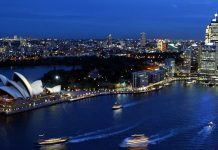 These location applications mean that the watch will be able to pinpoint your location no matter where you are. 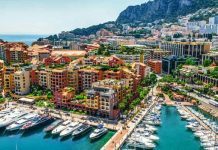 It has a 16-gigabyte internal memory and sensors that enable it to save and display topographical maps without Internet connectivity. Are you looking for a first-time running watch? The Polar M400 is the perfect choice for your first running watch. This watch provides simplicity while including the standard features, such as GPS, sleep tracker, and heart rate monitor. Not only does the M400 support running, but it also supports other physical activities, such as swimming and yoga. You can get your VO2 max by doing a 15-minute fitness test. It also compiles a Running Index score at the end of your run. This compares you against other runners who fit your profile. It has decent battery life and you can charge it using a USB cable. Although there is another series after this with better specs, this is still a worthy running watch. This series features a GPS+LTE option that allows you to get complete access to your phone through the watch. It has better performance and improved connectivity with your phone. 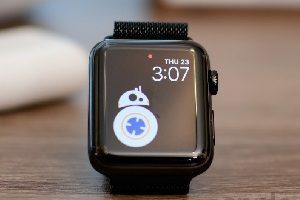 With the inbuilt GPS and monitor, the Apple Watch Series 3 is in a class all by itself. 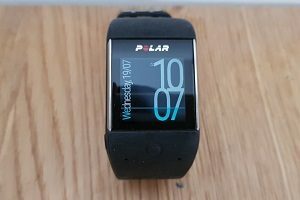 The Polar M600 is an improvement on the M800, coupled with additional features, such as the Android Wear support. This means that it functions as a full smartwatch in addition to being a spectacular running watch. 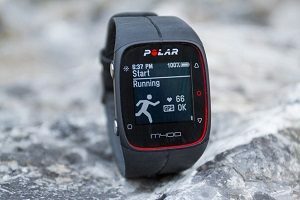 The M600 utilizes the Flow App from Polar. This allows you get training insights, such as Training Benefits measurements and Running Index score. It has excellent running tracking courtesy of the accurate GPS and high-performance heart rate monitor. The Polar M600 is a functional running watch that comes with the bonus of Android Wear. 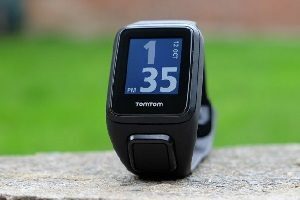 The TomTom Spark 3 is third in the generational TomTom watches. This watch features a wide variety of models that feature inbuilt MP3 storage or a heart rate monitor. 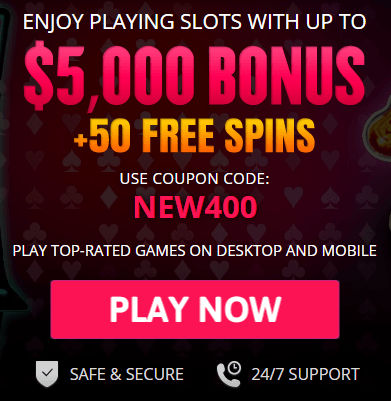 There are some models that feature both options. The watch also comes with Bluetooth-paired headphones. One of the best features that comes with the Spark 3 is route exploration, which is compass-based guidance. This allows you to trace your starting point in case you are on an unfamiliar track. It has a battery life that is impressive. Apart from running, it also supports swimming and cycling. In addition, it allows you to upload GPX route files in case you want to use a predetermined route. The Fitbit Ionic is the only Fitbit watch that features inbuilt GPS for running. The Ionic allows you to measure the pace, distance, and calories burned during your run. This is a watch that maintains simplicity, which makes it suitable for casual runners. The app in this watch features amazing tracking elements that enable you to receive a complete health picture. You can earn badges for achieving your running goals and it gives you a detailed weekly report of your activities. 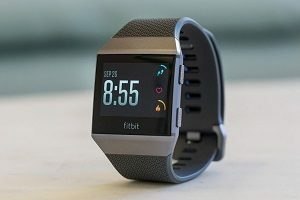 The Fitbit Ionic has decent battery life that allows you get 10 hours of GPS tracking. Standard usage will give you around five days of use. 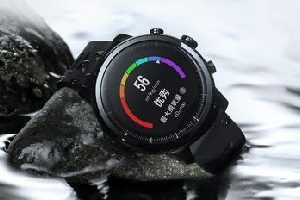 The Amazfit is a Garmin duplication from Chinese company Huami. It supports a variety of activities, including mountaineering, skiing, soccer, cycling, swimming, and triathlons. It comes with GPS and GLONASS support for accurate location tracking. And, you can also save GPX files. The Garmin Vivosmart HR Plus features all the standard features you would expect from a running watch. Other features include an accelerometer, optical HRM, barometric altimeter, and GPS. This watch features an easy-to-use E-Ink touchscreen and a five-day battery life. 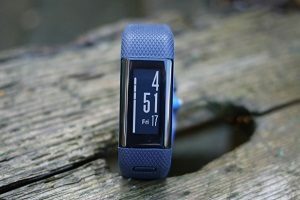 The Garmin Vivoactive 3 is a Garmin running watch with the additional feature of smartphone functionality. It has the standard GPS and HRM feature coupled with VO2 max estimations. 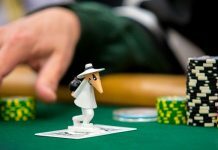 It also has 24-hour tracking capabilities. 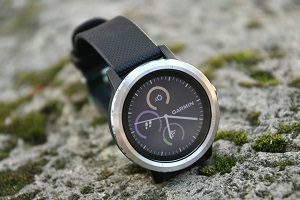 Apart from the fitness features, this watch also has smartphone features, such as notification mirroring and media control. The most impressive feature, however, is the battery support that comes with this watch. It can support up to 13 hours in GPS mode. Have a look at the above list of our top picks for the best running watches on the market. You are sure to find the one that is the most suitable for you.